Bigger gifts - "not constrained by how much cash they may need for lunch"
Summer/vacation giving. People can continue to give, even when they don’t attend weekly services. 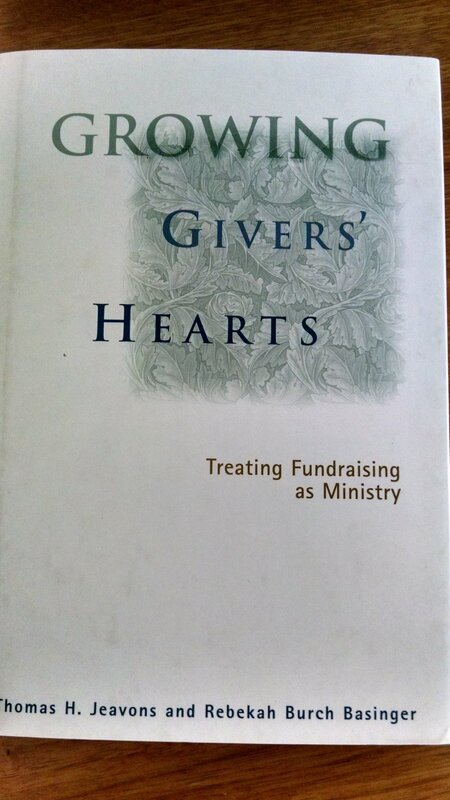 Giving is a spiritual discipline like prayer and ongoing giving strengthens our generosity muscles. Regular giving benefits churches too. Stewardship, fundraising, money, giving, fundraising - call it what you will - this is my work. And people get uncomfortable. Money is a scary topic. There's powerful taboos against talking about money in our North American culture. It's easier not to talk about giving. Wait until the financial situation gets really bad, then send the treasurer up to the front. Tip: a year-end guilt trip is not a long-term stewardship solution. I'm sure you knew this already. So, where to start in talking about money? Christians give in grateful response to God's generosity to us. Gratitude makes a wonderful starting point for stewardship. A generosity assessment (contact me for info here) begins with a short survey asking people to name three things they are grateful for about their church. Then the church can celebrate together. And build on a foundation of gratitude as they learn generosity together. Call. Tell someone at your church that you appreciate them. Call, email, send a hand-written note, reach on on social media - whatever. If you know they are a donor, thank them for their support. Repeat often, as grace abounds. Pray. In worship, take time to thank God for people at your church who mow the lawn, maintain the website, make coffee, clean up, teach Sunday School and more. Thank God for people who contribute money to keep the church going. Repeat often, as grace abounds. Tell stories. What is God doing among you? The bulletin, website, church newsletter provide a forum to tell stories. Celebrate the small moments too. Did the church office take a call this week from someone who needed a listening ear? How long has the AA group been meeting in the church basement? Be grateful for these interactions, and for people who share their time, talent and treasure. Repeat often, as grace abounds. There are more than three ways to be grateful; the Psalmist reminds us that every day gives us new opportunities. In a world that tells us scary stories, practicing gratitude interrupts our fear. Gratitude reminds us that God gives us all we need and that we can always afford to be generous.